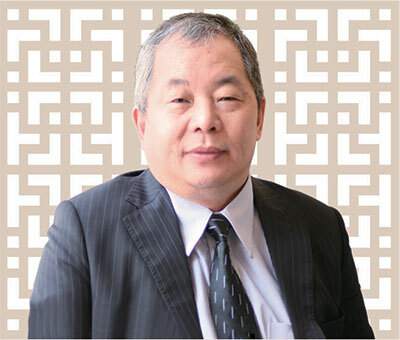 Mr SONG Weiping founded our Company in January 1995, and is primarily responsible for the formulation of our development strategies, as well as supervising our project planning, design and marketing. He is also a director of certain subsidiaries or associates of the Company. Mr SONG graduated from Hangzhou University with a bachelor’s degree in history in 1982. In 2004 and 2005, Mr SONG was honored as one of the Ten Leaders of the Residential Property Sector in Zhejiang awarded jointly by Zhejiang Daily, China Housing Industry Association and Special Committee of the China Construction Industry Association. In 2004, Mr SONG received the China Construction Architecture Award (Individual Contribution Award). Mr SONG ranked as one of the “Top Ten Outstanding Real Estate Leaders of New Urbanization” in 2014. He is the vice chairman of the sixth Council of China Real Estate Association and the vice chairman of Zhejiang Provincial Real Estate Association. Mr SONG is interested or deemed to be interested in the shares of the Company for the purpose of Part XV of the SFO by holding shares through his controlled corporations, namely Delta House Limited and Hong Kong Orange Osmanthus Foundation Limited. He is also a director of Delta House Limited and Hong Kong Orange Osmanthus Foundation Limited. Mr SONG was redesignated from the chairman of the Board to co- chairman of the Board with effect from 27 March 2015.